Located at Erina, CHAN’S boasts an extensive range of Asian groceries including many lines that were previously only available in Sydney. Why Shop with Chan’s Asian Supermarket? Come and experience our great service, we are here to help and assist. Shoppers can choose from a range of dried, canned and frozen foodstuffs from Japan, Korea, Philippines, Thailand, Singapore, Malaysia, Indonesia, India, Vietnam and China. Dried noodles are particularly popular with shoppers due to their convenience and variety of flavours. Chan’s also has a wide range of fresh, locally produced goods delivered weekly from Sydney. 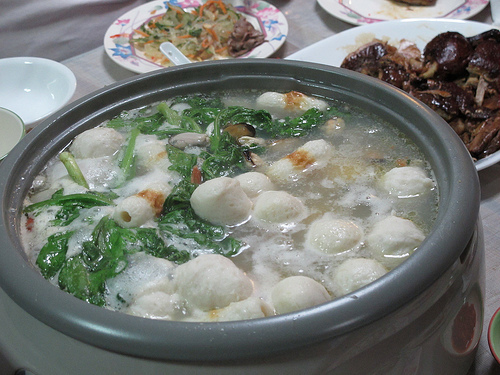 Shoppers will be treated to a wide variety of tofu, noodles, fish and other seafood balls, meat balls as well as a selection of different types of thinly sliced meat and garden vegetables. PEKING DUCK or BBQ pork is always available for customers to enjoy, fresh on Thursdays and frozen any other time. Do you enjoy Yum Cha? 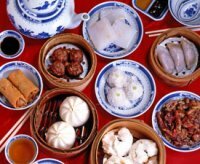 CHAN’S speciality is a range of frozen food produced in Sydney which is suitable for a do it yourself YUM CHA at a fraction of the cost . Or if you like short soup, all you need to add is hot water. CHAN’S will provide the rest with a range of ready made pork, chicken, prawn, crab or vegetarian wontons (short soup) made locally, and even the stock to make the soup. CHAN’S also caters for special dietary requirements with vegetarian, gluten free and MSG-free ingredients and advice about how they can be used to create delicious dishes. We offer recipes to help you to understand and use our authenic asian products.